U18 girls win the 2018 CT State Cup! Congratulations to our u18 girls for winning the 2018 CT State Cup in the girls u18 bracket. The girls won 4-0 against SC Beachside, who had previously beat them in last year's state cup final. 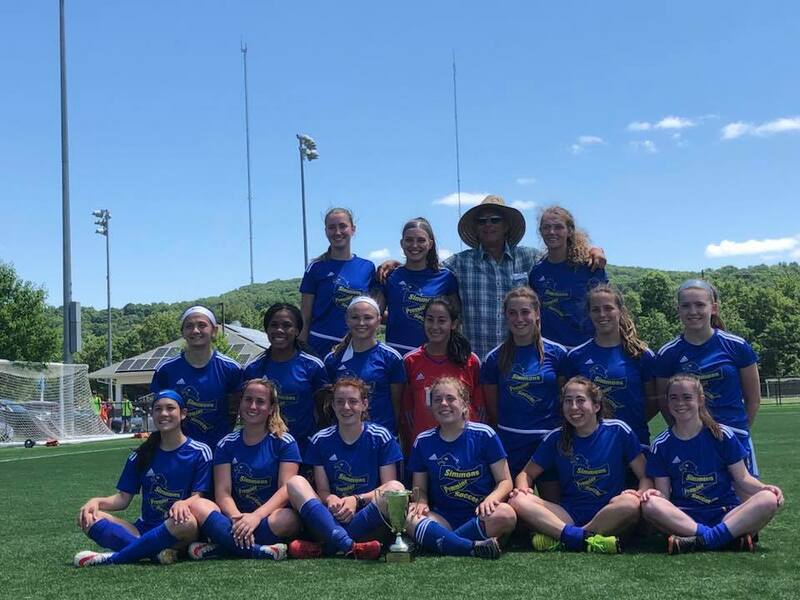 The u18 Simmons girls also managed to top their CJSA premier league going undefeated in both league and state cup this past spring. The girls finished with an impressive 19 goals for and 4 goals against in 7 matches played in their league matches.